If you are a Young Living business builder you should definitely have 2-3 of each type of recruiting kits with you whenever possible! We are going to make it super easy for you to have your own professional looking recruiting kit — complete with box top labels! You’ll want to put together two types — one for those who want to business build and one for those who want to be wholesale members but do not want to business build, at this time. We even have suggestions for what to place in each type of recruiting kit! Add something personal in the box. Ideas are a travel size Thieves hand purifier, Thieves Mints, or a tube of NingXia Nitro. Place whatever you decide in a small plastic baggie with your business card. Tip: Place a magnet strip on the back of your business card so the prospect can hang it on his/her fridge or filing cabinet. 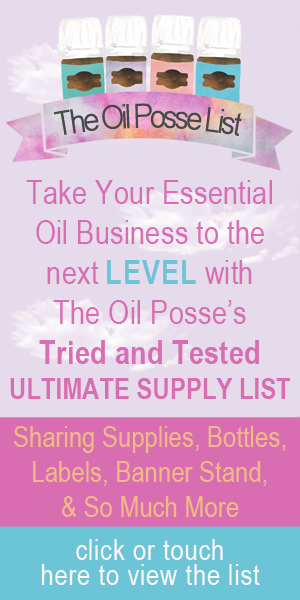 This entry was posted in DIY, Flyer, Labels, Marketing Material, PSK, Recruiting Kit and tagged Business Builder, Opportunity, PSK, Recruiting Kit, The Oil Posse, Young Living on August 2, 2017 by Jordyn Lei.